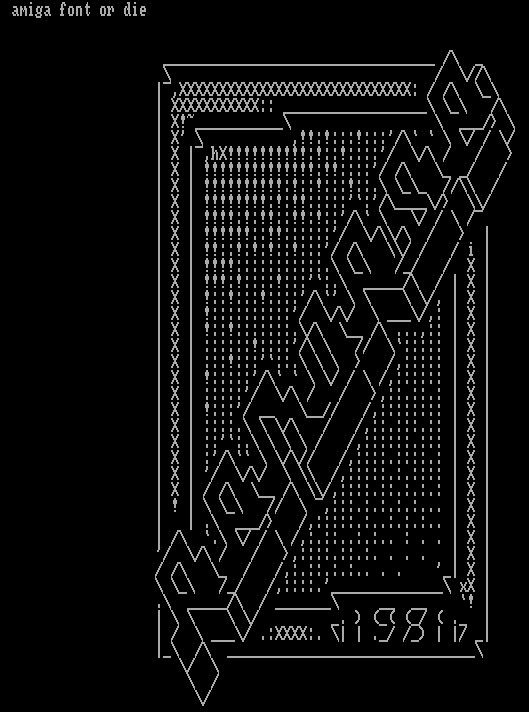 There have been some recent discussions assessing the history of ASCII art — along with some thoughts about its future. ASCII art is basically images created only through text characters, specifically the 128 characters specified in the American Standard Code for Information Interchange, a character encoding standard for electronic communication. Text art predates computers by a long while. 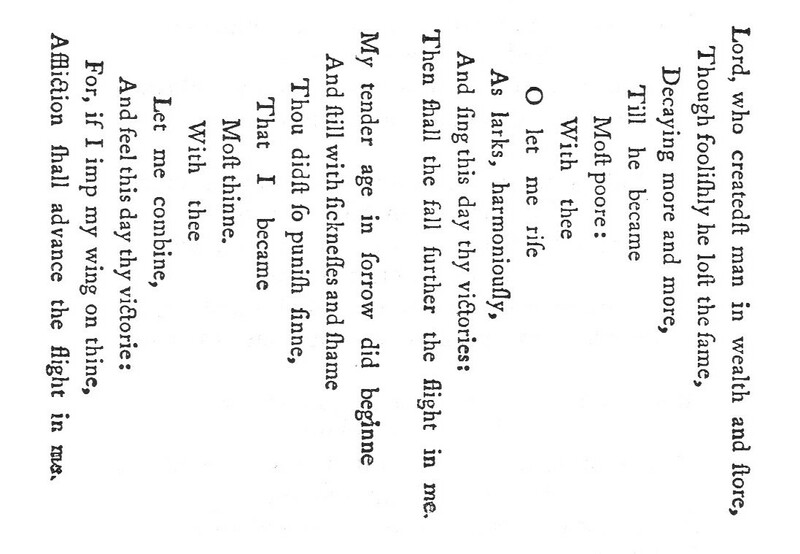 Researching the topic, I learned that people have been playing around with the spacing of their text since ancient Greece, a phenomenon which is sometimes called “concrete poetry” (or “shape poetry”). 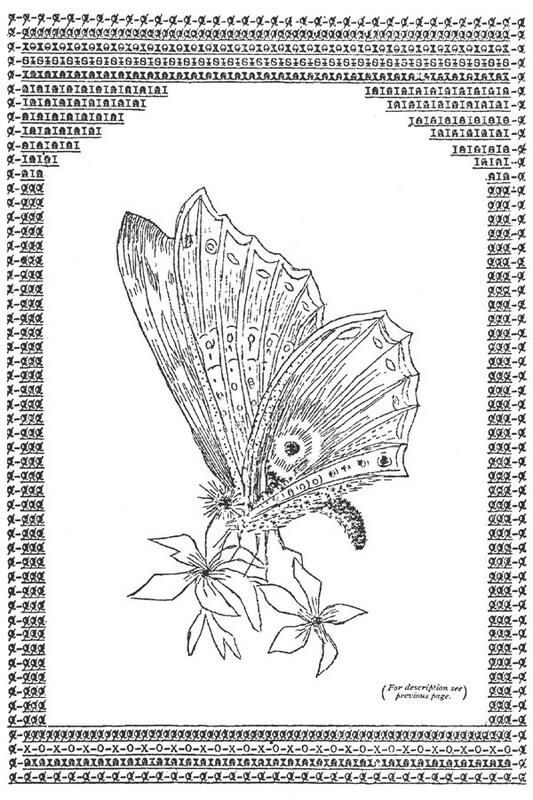 Last month someone calling themselves “Sourcerer Bot” attempted to trace the history of what we refer to today as text art, and actually dig up this spectacular example from 1898. And there’s also some other early examples. 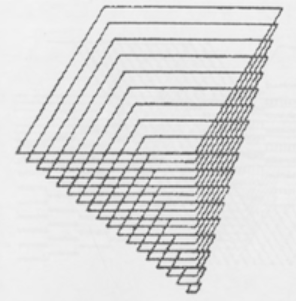 One text art enthusiast points out some examples that appeared in Popular Science magazine between 1939 and 1948, “created by the artists on classic mechanical typewriter machines.” That’s several decades before the ASCII standard had even been defined. But it seems indisputable that text art took on a whole new significance with the arrival of the first computers, since it offered a tempting new way of conveying information visually. 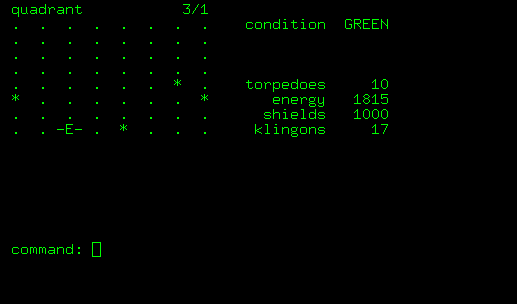 You can sense its potential in some of the earliest computer games — for example, the maps in “Star Trek” (1971), “Rogue” (1980) and “NetHack” (1987). Eventually, BBS’s were replaced by dial-up internet connections. But it would still take several more years before the online world fully adopted web browsers (which offered the first easy way to combine actual images and text). 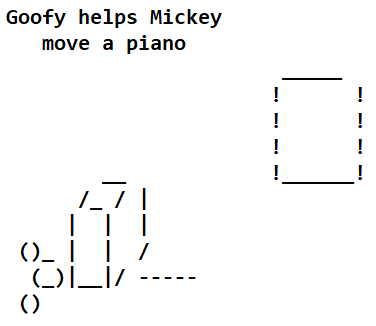 So the early days of the internet still offered a fertile environment for budding ASCII artists. In the early 1990s, the internet was still pretty much a text-based medium, offering basic services like email, Internet-Relayed Chat, and the ability to read (and leave) messages on newsgroups. There was even a newsgroup whose sole purpose was to mock the overly-elaborate .signature files of Usenet posters who were violating the four-line limit dictated by netiquette. Named after one of its prime offenders, the newsgroup was called alt.fan.warlord. 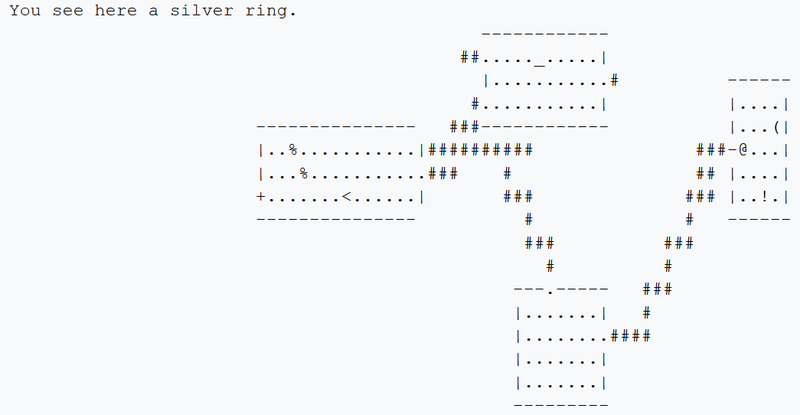 Of course, there was also a new Usenet group dedicated to appreciating the increasingly popular artform — alt.ascii-art. It was a magical time for text art enthusiasts. Someone named Christopher Johnson registered the domain Chris.com back in 1995, and has apparently been using it ever since to host a repository of ASCII art for over 23 years. It had all started when some wise guy kept insisting that the internet wasn’t as good as a dial-up online service like Prodigy. And it seemed like he was almost daring people to make fun of him by the saucy artwork in his .signature. 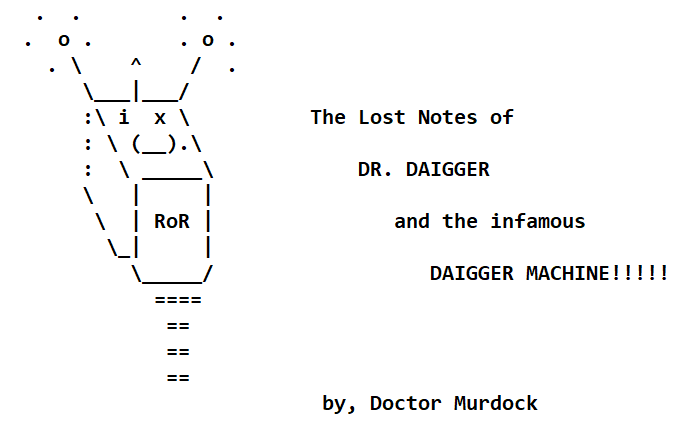 Eventually, I’d appropriated it for my own satirical ASCII art. Soon it took on a life of its own. It became “my thing” — the ability to draw funny pictures using nothing but keyboard symbols. It’s 24 years later, and I still remember the giddy thrill of making art from keyboard characters. The whole experience was absolutely intoxicating. It was fun, but in an almost primal way. It felt like unchaining that raw, primal human desire to connect over a shared moment of recognition. And there were still lots of other people who were playing around with ASCII art too. A 1995 entry in the International Obfuscated C Code Contest was even spaced to so its commands formed a diagram of how binary logic ports could perform addition. It’s hard to shake the feeling that this was the “glory days” of text art — that its decline coincided with the ascendancy of the web, which made it much easier to embed actual image files into your text. The Wikipedia entry for ASCII art remembers “The Adventures of Nerd Boy,” a primitive ASCII art comic that was uploaded to the alt.ascii-art newsgroup for six years from 2001 through 2007 — but it was decidedly unambitious. “I was bored and wanted to draw some people playing badminton…” the author remembered on one page. The years rolled on, bringing spectacular video game graphics, real virtual reality headsets — and years and years where nobody seemed to be messing around with ASCII art anymore. 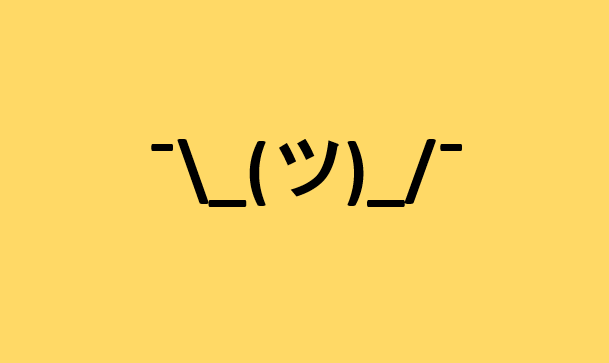 All the recent discussion left me wondering: Is there still a place for ASCII art in a world filled with emojis, bitmojis, and the easy sharing of actual photographs? The short answer is I think it will always be welcome — and I’m not the only one. Slack has implemented a /shrug command which will add some appropriate ASCII art to the end of your message. ¯\_(ツ)_/¯ And Sourcerbot’s essay points out that to this day, there’s still ASCII art archives on Pinterest and a forum on Reddit. And who knows where it will lead us next? When Sourcererbot’s history turned up on Hacker News, it prompted some fascinating discussions. Someone made sure to recommend the great ASCII text rendition of the entire movie “Star Wars” — which has apparently been an 18-year-project. “it’s been a fun learning experience,” they wrote, adding a thought which seems to summarize the general mood. The couple who hacked the lottery. Stack Overflow calculates: Which U.S. cities have programmers that are most like the programmers in Seattle? The problems with trying to build a cellphone network on the moon. Will Isaac Asimov’s “Three Laws of Robotics” be enough to safeguard humanity? We’re one step closer to flying taxis.